When it comes to high quality video production services focusing on your business message, products, services, or events - we are your team. In fact the only thing we don't have is actual video. Everything is shot digitally and in HD. We’ve produced commercials, training, corporate brand, promotional, educational, marketing videos and much, much more. We will have one of our producers speak with you to get your vision and then take your concept to completion with the goal to exceed your expectations everytime - and on time. At Spit Digital Creative, we understand the power of a "30 second video commercial" for your website. 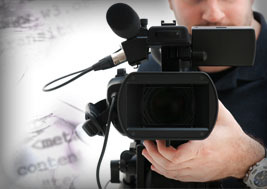 A corporate video/commercial is made specifically for your website where it can attract your users and convince them. It is a commercial about your business and services. It can target your web users, your clients, or even your investors. We suggest covering ALL of your bases in explaining who you are to your customer. Utilizing social media is great, but creating a corporate video commercial and pushing it out to the public via your website and social media is even greater. This means taking your message and spreading it in different ways. 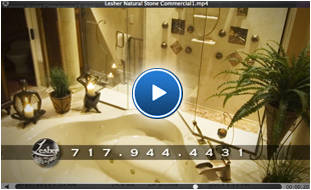 Click to play the Lesher Natural Stone, Quartz, & Tile video.